The rest of the AFC North celebrates that they now have a chance. 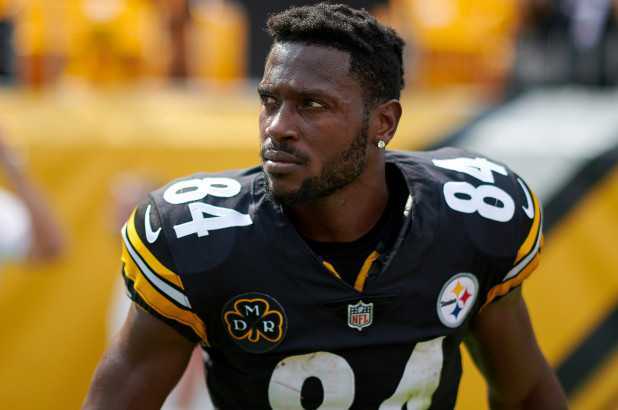 Antonio Brown looks on in anger; is this the end? It is beginning to look like the dying hours of the Pittsburgh Steeler dynasty are upon us. They did not succumb to old age, or the salary cap, but Mike Tomlin lost an egotistical battle with two generational players. The defense is beginning to show cracks even though it’s made up of very young players. The defense has failed to meet expectations after the devastating injury to Ryan Shazier. Their secondary had lapses in all aspects with only eight interceptions all year and their leading tackler had just 80 tackles. It all began with super star running back Leveon Bell. He held out the whole season due to a contract dispute with the front office. Bell believed since he also did the work of an average wide receiver in addition to a top running back, he deserves to be paid like both at a handsome price of $17 million a year. The Steelers laughed in his face and just franchise tagged him. The problem was Bell didn’t step on the field once, so he got paid zip. Now there are two sides to every story. Bell realizes that this is his last big contract coming up and he wants to make it count. Also, a lot of times contracts in the NFL are not all guaranteed. But another issue for him is that he would be getting paid four more million then the highest paid running back right now. Another problem he faces his that teams may not want that toxic attitude in the locker room. They don’t want that spreading through a team. In addition, he hasn’t played in a full year so his physique is questionable at this point. Antonio Brown has turned into quite the complainer. He has been increasingly egotistical and even didn’t show up to the final game. He clearly is putting his team second. There are reports that Ben Rothlesberger “berated” him in practice. Recently, however, social media goers may have uncovered his burner account. A burner account is a separate account that celebrities use with a different name to defend themselves and follow other people. A Twitter Michael343453 was uncovered replying to ABs tweets and defending himself. He even called out the front office for not valuing him enough. JuJu Smith-Schuster has called for an end to the drama, but communications are not necessarily open between the players. Who knows? Maybe the Steelers will get their undies out of a bunch and learn to play as a team. Fans may start turning on them after Steelers legend Heinz Ward called the Steelers “embarrassing” and praised the Patriots. Really it’s all going to come down to whether or not Mike Tomlin or the front office takes control of their team.